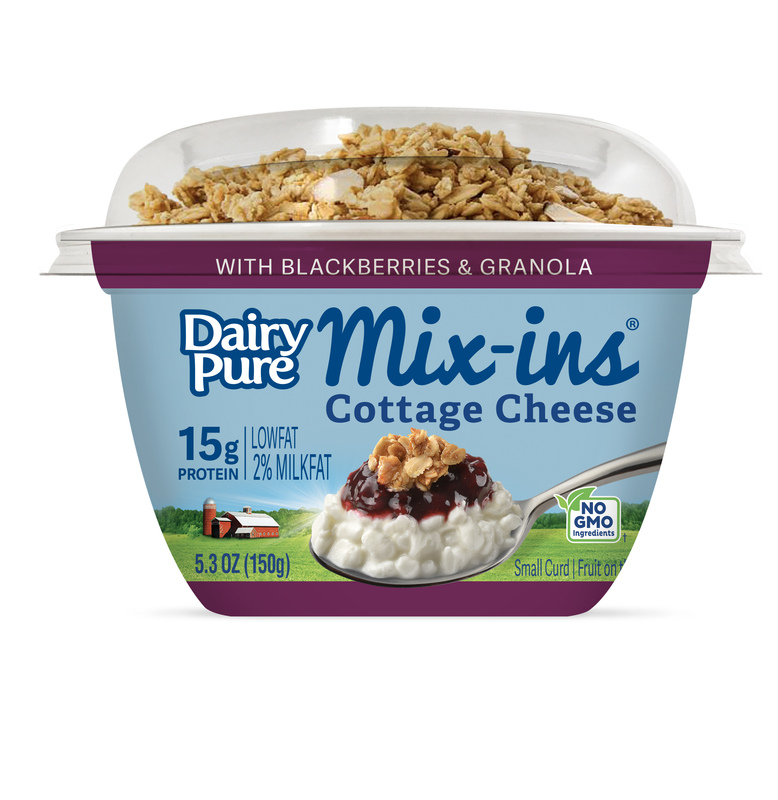 DALLAS, March 28, 2019 /PRNewswire/ — DairyPure®, a Dean Foods Company (NYSE: DF) brand, has tapped into consumers’ desire for portability and unique flavor profiles with its DairyPure Mix-ins® line of cottage cheese. DairyPure Mix-ins launched last year with four fruit flavors: Blueberry, Peach & Pecan, Pineapple, and Strawberry & Almond, and now expands the line to include Blackberries & Granola, as well as two new savory flavors; Creamy Jalapeño & Tortilla Strips and Sundried Tomato & Croutons. 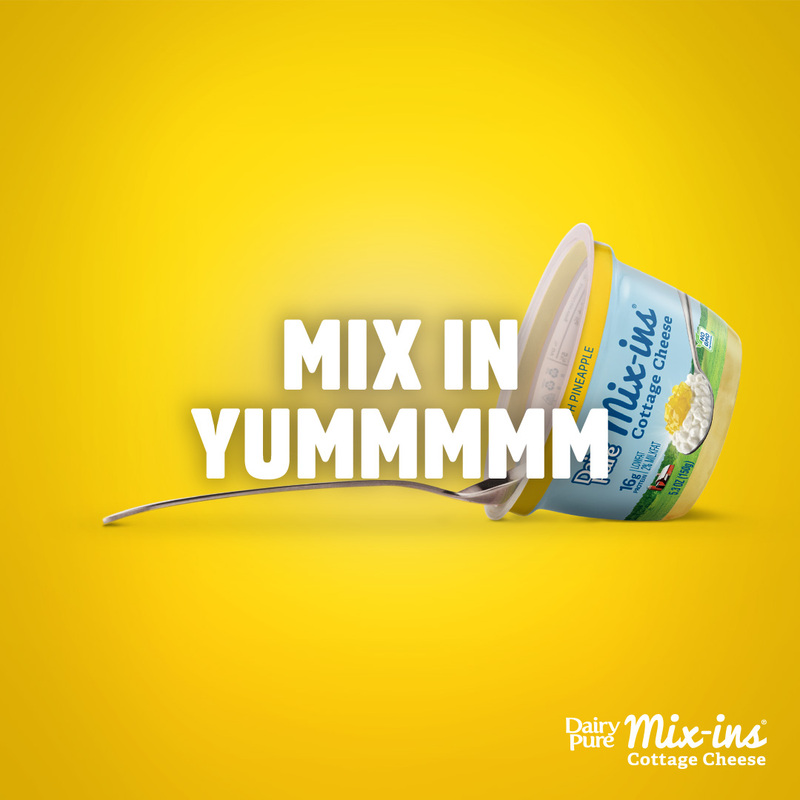 DairyPure Mix-ins is a low-fat, high-protein cottage cheese product packaged in single-serve containers, making them convenient for on-the-go snacking. 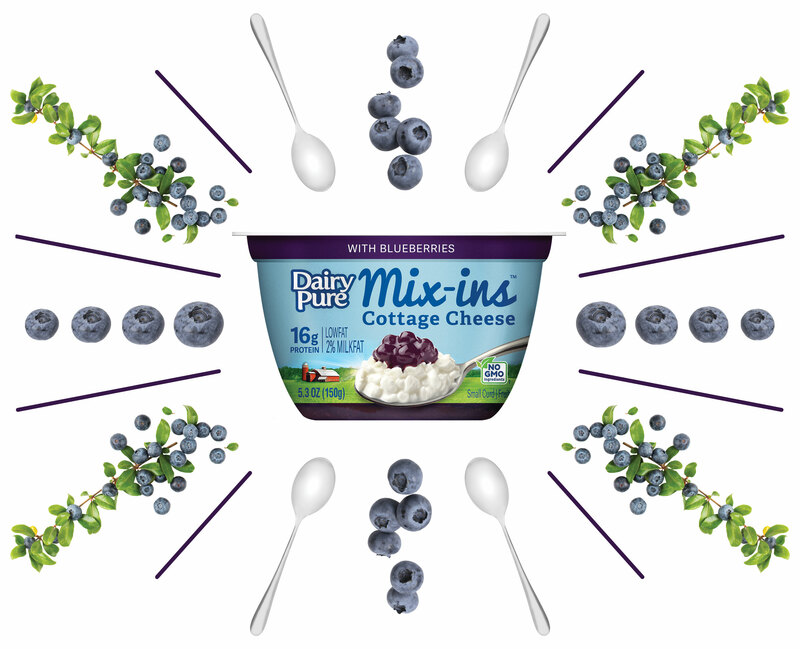 “Mixing in the good stuff” helps set DairyPure apart from competitors with its deliciously unique and bold flavors and textures that complement the already nutrient-rich cottage cheese. Dean Foods is a leading food and beverage company and the largest processor and direct-to-store distributor of fresh fluid milk and other dairy and dairy case products in the United States. Headquartered in Dallas, Texas, the Dean Foods portfolio includes DairyPure®, the country’s first and largest fresh, white milk national brand, and TruMoo®, the leading national refrigerated flavored milk brand, along with well-known regional dairy brands such as Alta Dena®, Berkeley Farms®, Country Fresh®, Dean’s®, Friendly’s®, Garelick Farms®, LAND O LAKES®2 milk and cultured products, Lehigh Valley Dairy Farms®, Mayfield®, McArthur®, Meadow Gold®, Oak Farms®, PET®3, T.G. Lee®, Tuscan® and more. In all, Dean Foods has more than 50 national, regional and local dairy brands as well as private labels. Dean Foods also makes and distributes ice cream, cultured products, juices, teas, and bottled water. Over 16,000 employees across the country work every day to make Dean Foods the most admired and trusted provider of wholesome, great-tasting dairy products at every occasion. For more information about Dean Foods and its brands, visit www.deanfoods.com.